There are many wonderful things about working at Fall Creek but one of the best is all the fresh blueberries we get to eat! 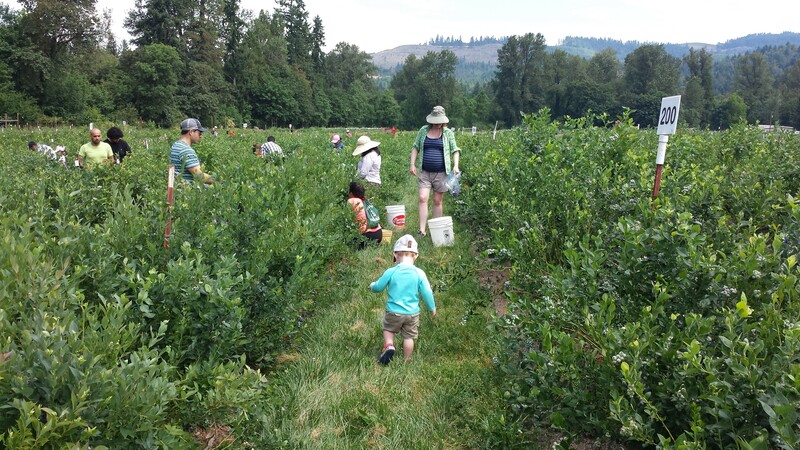 An annual favorite is the employee family u-pick day at our research farm in Oregon. This year, more than 160 people joined in the picking. Even the littlest ones got into the picking….and eating! Casey Whelan from our IP & Legal team joined in with his wife and 2-year-old son. “We rarely miss a u-pick day. It’s a chance to spend some time in the country, eat blueberries, and see some co-workers outside of the office,” said Whelan. Many pounds of fresh blueberries were picked that day and have filled many employees freezers by now.